One day an idea strikes into your mind, and you decide to be an entrepreneur. Because you already had the idea, the next thing was to raise funds for your startup business. You prepared the business plan, seek some business advice from friends, relatives, and Google; and launched your Small Business. Now you are a proud Entrepreneur. That’s it? Does your Entrepreneurship story end here? No. If launching a startup business was a challenge for you that you accomplished then maintaining its growth is the next challenge that you would be facing soon. Several startups soon turn out to be history because they did not sustain the growth of their Small Business and never planned to them a Big Business. 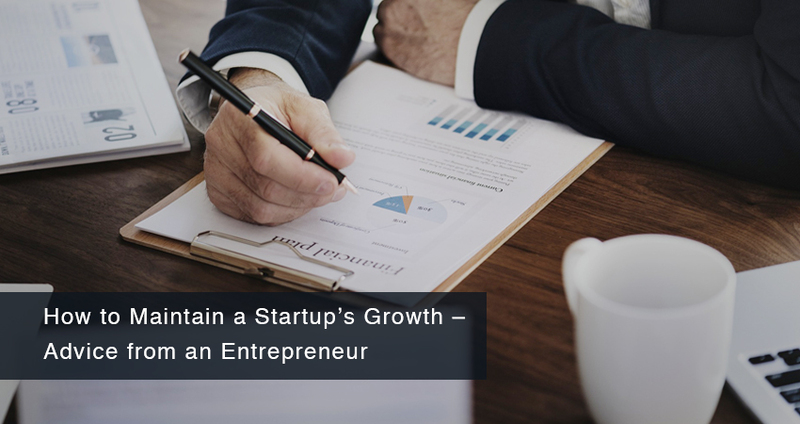 Through this write-up Entrepreneur Mehul Panchal; founder of Filter Concept Private Limited is sharing his Business advice on how to maintain a Startup’s Growth. Plan for the Prospects, Rather Than Just Working on the Existing Business Growth: If you’re in a progressing industry similar to technology, you recognize how significant it is to stay ahead of what your opponents are undertaking. An approach grounded on running behind the developments might get you instant results, but you’ll be better prepared for actual, long-term growth if you guise in the direction of the future also. Not only you must brood over what your product or service will be after ten or more years, but you should even contemplate the better path of its application. Don’t just be happy and relaxed that your product or service is doing well at present as the Product Life Cycle says there is recession period for everything in the market. So you must also have a plan B for the renovation of your product and service. If required you must also modify the business policy with time. The Right Man for The Right Job at the Right Time on the Right Salary under the Right Leadership: Often it is seen that the entrepreneurs hire the staff even for the tasks that are irrelevant. Successful Businesses are not just because of the excellent teamwork instead they are the result of brilliant leadership. One should not leave entire workflow in the hands of staff. The human resources would make the work easy for you but employing them would also lead you to spend on the salaries. Therefore, you should select a candidate for a task only there is a rigid need of someone taking the responsibility of a particular function; by putting him under the clear leadership of yours or a supervisor as needed on the salary compatible with it. Strategic hiring is significant. Observe What Comes In And What Goes-Out: Speedy, exponential progress doesn’t necessarily assure future breakdown, but the deliberate pace doesn’t guarantee permanence, also. It’s all about operating your business energetically and competently, irrespective of your development ratio. We frequently perceive businesses that are mounting speedily make the blunder of capitalizing money and time profligately into advertising and recruitment, and not adequate time and money on the improvement channel, channel broadening and development, order fulfilment, and supply shackle. Thus, as a smart entrepreneur, one should not only enjoy the business but also should know about the investments and expenses. The balance sheet should be tallied monthly to avoid any pitfalls. Be At Your Own Pace, But Be Prepared To Move Swiftly When Required: Though it’s a decent idea to hold back and indeed polish the product or service that you offer, you correspondingly should make out which opportunities can help you propagate. When you discover one, be prepared to creep up and take hold of it. For this, you should be constantly aware of the market ups and downs, competitors planning, and customers’ demand. Always maintain a healthy contact with your suppliers, distributors, dealers, and stockholders. Any hint from them regarding the changes and you should be able to take charge of the same. It is good to rely on people around, but it is always the best to act smart and be self-dependent. Always remember; your startup business is a like a newborn baby for you. Whom can you trust more than yourself for baby’s nurturing? In the end, there is no advice better than self-learning. You should make a habit of noting down the mistakes that you committed and the best decision that you took. Never leave a task for the other day. It is through the hard work, dedication and planning any startup business can flourish and maintain its growth. Keep your mind and eyes open to climbing every step that can take you to the seventh cloud. It is through the continuous learning and earning; ones a startup is launched it never falls. Why Give Up Entrepreneurship When You Can Be A Phoenix!